A walled garden with a $49 exit. 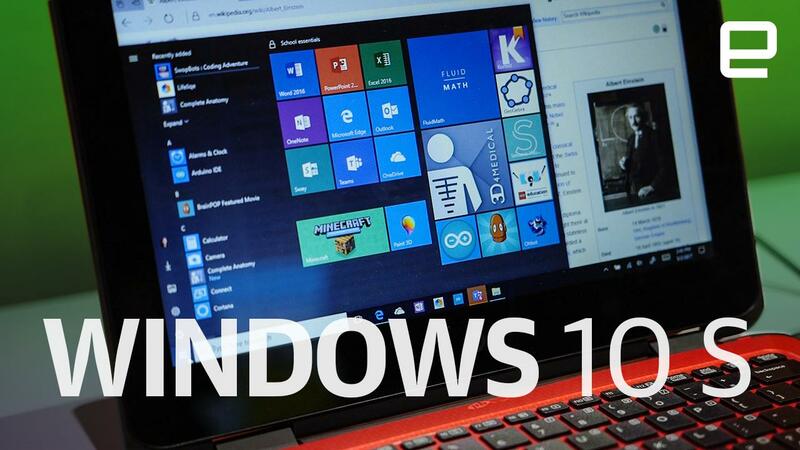 So what is Windows 10 S? Is it the perfect OS for school kids and teachers, or is it the OS that will make Microsoft's new Surface Laptop shine? Can it be both? If you don't have 105 minutes to watch the presentation, Windows 10 S is a skew of Microsoft's OS that only runs Windows Store apps. Because of this, it's purportedly faster and, thanks to app sandboxes, more secure than Windows 10 Home or Pro. Before its unveil, it was widely assumed that 10 S was all about competing with Chrome OS at the low end. But despite introducing the OS at an education-focused event, Microsoft and its hardware partners will sell Windows 10 S machines to the masses, with prices ranging from $189 to more than $2,000 for the most expensive Surface Laptop. 10 S will probably get a lot of love from schools and maybe even businesses. Microsoft has added tools that make setting up and managing hundreds of machines far easier, and these are environments where administrators already dictate what users can and can't do with their computers. But that Windows Store restriction could pose problems: Some powerful programs don't have full-fat UWP (Universal Windows Platform, the Windows Store app format) versions, and many older pieces of software simply don't have UWP equivalents. Microsoft does have a fairly simple method for users to repackage older apps to UWP, which administrators could feasibly run through before distributing via the specialized Microsoft Store for Education or Business. If 10 S becomes an OS of choice for schools, it should encourage more developers to convert their apps to UWP. This doesn't necessarily mean that Adobe or Autodesk will start offering their apps through the general Windows Store: There are business reasons why they won't, not least of which is Microsoft's cut of Windows Store revenues. But it takes little effort to package a UWP app, and for many developers the draw will be strong. As a pitch for education, Windows 10 S makes a lot of sense. The app ecosystem, replete with full versions of Office, makes it markedly more flexible than Chrome OS, and its locked-down nature should make it easy to manage. But Microsoft, and its hardware partners, will sell anyone a Windows 10 S laptop, and with the Surface Laptop attracting attention and general prices starting at $189, chances are that a lot of people are going to be tempted. How will it work for them? Without an administrator smoothing over the cracks, 10 S is less flexible. Those app work-arounds are off the table, and you're essentially going back to the Store-only vision Microsoft offered with Windows RT, its ill-fated attempt to sell ARM-powered Windows machines to compete with tablets. The vast majority of users don't want or need pro-grade applications though. The Windows Store selection is far wider than it was five years ago, when RT was released, and most of our time is spent in the browser anyway. Windows 10 S is also based on a better OS in Windows 10: one that performs well and, more importantly, that users are already accustomed to. With that in mind, the comparison between the two OSes fades away. Arguably Microsoft's biggest problem with RT was that it solved nothing. It was a slower version of Windows with barely any applications, and consumers neither understood nor cared about processor architecture. So what problem does 10 S solve? It offers a streamlined OS, improved performance and longer battery life at the cost of flexibility. That's roughly the same pitch companies use to sell Chromebooks, and 10 S presents a more familiar and less rigid environment for most users than Google's OS. Microsoft is at a slight disadvantage compared to Google though. The Chromebook is easily understandable because people know what Chrome is. The expectation is for you to open your new laptop and have the software be a browser. Practically everyone knows what Windows is, and it's not exactly what Microsoft is offering here. It all comes down to how people install software on Windows: You go to a website, you download an app and you use it. A Windows 10 S laptop does not work like that. And sure, people will use the Windows Store, but the first thing they'll do when they can't find an app is head to the web to download it. When they do that, they'll be asked to pay $49 to upgrade to Windows 10 Pro. Although that asking price isn't crazy, a pop-up informing you of it isn't a great user experience, and Microsoft has a giant task ahead of it in explaining why these new machines don't work like Windows laptops. Clear marketing and in-store messaging will be key to making 10 S a success. Clear marketing and in-store messaging will be key to making 10 S a success. Microsoft, for its part, is doing a decent job with that, and overall its marketing materials are clear on what 10 S is and isn't. "Windows 10 S is streamlined for security and performance, and works exclusively with apps from the Windows Store," says the description on the OS comparison section of the company's site, which couldn't be clearer. But it's easy to fall short. On the Surface Laptop page, you get "Applications are delivered via the Windows Store, ensuring that they're Microsoft verified." Without the "exclusive" disclaimer, this sounds a bit like a bonus security feature, something optional like Apple's Gatekeeper. In the case of the Surface Laptop, Microsoft is actually offering a free upgrade to Windows 10 Pro, so that's not such a big deal. But it highlights the problem here: Microsoft's Windows team can get its messaging right, but the temptation for laptop makers -- even inside Microsoft -- to gloss over their devices' shortcomings is going to to be strong. It's going to need to work hard to make sure its hardware partners don't do irreparable damage to its new OS' reputation. While the broad strokes of 10 S seem solid, some of the details fall short. Regardless of its OS, the first thing I do with a new laptop is install Google Chrome, and I'm not alone in that preference. Despite being shipped as the default browser on Windows 10 (and the OS constantly nagging you to give it a shot), data from last year suggests that only one in five Windows 10 users are using Edge. The vast majority are using Google Chrome, which isn't currently available on the Windows Store. Even if Google brings Chrome to the store tomorrow, it won't make things much better. While it wasn't mentioned at yesterday's event, Microsoft has since said that the default browser cannot be changed in Windows 10 S. That means every time you click a link in an app or message, it'll open Edge. Microsoft can and probably will point to improved battery life, RAM usage and security as a reason for this decision. By restricting user choice, it can ensure everyone is using a safe, modern browser that won't make cheaper machines run like garbage. But if that were true, why is it also locking in Bing as the default search engine? That's right: Unless you manually navigate to google.com and get searching, all of your search results are going to come from Bing. The soul of Windows is choice, not Edge or Bing. Take these two restrictions together and it's clear that this has nothing to do with security or performance. It's Microsoft desperately trying to prop up its browser and search efforts by restricting choice. Yesterday Windows chief Terry Myerson described 10 S as "the soul of Windows," but to me and millions of Windows users around the world, the soul of Windows is choice, not Edge or Bing. It's an inherently hackable, customizable platform. This is clearly user hostile, but maybe Microsoft has data that suggests this tactic could work. For a while now, Cortana and Start Menu searches in Windows 10 have gone through Bing and opened in Edge, ignoring browser-preference settings. Given the vast amount of analytical data Microsoft collects from its users, it's possible it has seen a pattern of usage there that it thinks will yield results. Perhaps the majority of users continued browsing in Edge for the rest of their session, suggesting they don't care and are using other browsers out of habit. Either way, the fact remains that there are some users, myself included, who aren't happy with this behavior, and locking 10 S down in this way will only empower those warning about UWP to create a walled garden within Windows to complain louder. To me, restricting both the apps that you can install and the default search engine is pushing users a little too hard. These are small details though, and if there's adequate uproar, Microsoft can easily flip a switch and change them without compromising the basic sales pitch for the OS. 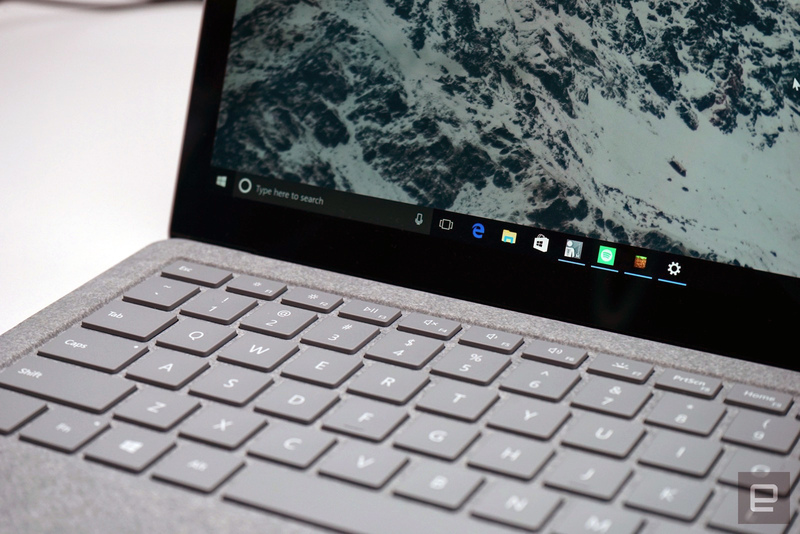 With 10 S, Microsoft is laying out its vision for the future of Windows. For a long time now, it's been working hard to move developers to UWP, creating simple workflows to package legacy apps in a UWP container, and this is yet another push in that direction. It's hoping its users will appreciate the increased speed and battery life and that developers will move to where their customers are, and fast. Like Windows 8 and RT, 10 S represents a gamble for Microsoft. It's gambling that developers will follow if it can persuade schools to get on board; it's gambling that a $189 laptop will provide adequate performance to not burn consumers; and it's gambling that if developers don't move fast enough for users, it can essentially sell a $49 "add-on" to them when, at that precise moment in time, they will have just been frustrated by a lack of functionality in its OS. In the long run, Microsoft wants to own Windows as an ecosystem rather than a platform. For that to happen, it needs to spin the wheel. It's been trying and failing to sell its developers and users on the Windows Store for some time now, after all. If Microsoft wants to offer a 10 S experience as standard and put legacy apps and services behind a Pro paywall, it needs to start somewhere. The education market is large enough that it should provide the audience to bring more developers on board to its vision. 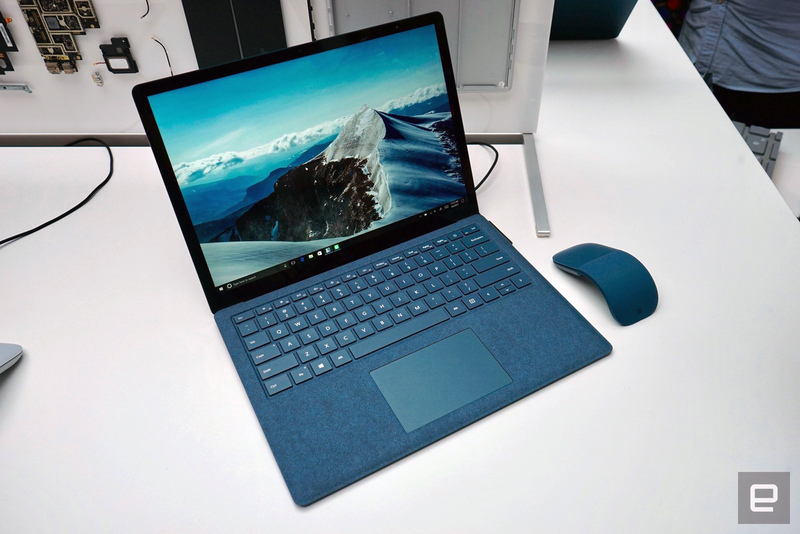 Enticing regular users with both cheap computers and gorgeous hardware like the Surface Laptop will only bolster its chances of the gamble paying off. But if Microsoft can't get the vast majority of apps on the Windows Store, its plan won't work.